Though the trend has somewhat stopped but there was a time when all the beauty queens used to come to Bollywood and made quite a name for themselves. Here are the beauty queens of Bollywood. 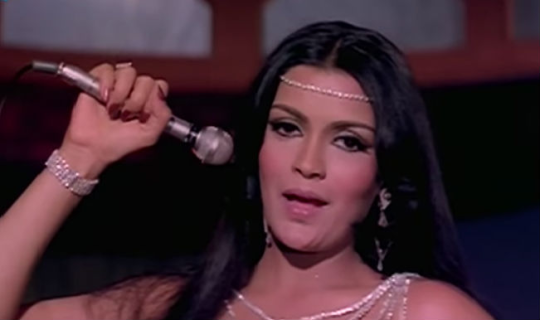 Zeenat Aman : The actress won Miss Asia Pacific in 1970 and made her entry in Bollywood with ‘Haré Raama Haré Krishna’ in 1971. Juhi Chawla : She was crowned Miss India in 1984 and made her Bollywood debut with ‘Qayamat se Qayamat Tak’ along with Aamir Khan. Aishwarya Rai : She won Miss World in 1994. Sushmita Sen : Sushmita was titled Miss Universe in the same year, 1994. Lara Dutta : Lara was crowned Miss Universe in 2000 and made her debut with the film Andaaz. Priyanka Chopra : Priyanka was crowned Miss World in 2000. Neha Dhupia : Neha won Miss India in 2002. Dia Mirza : Dia won Miss Asia Pacific in the year 2000 and made her debut in ‘Rehnaa Hai Terre Dil Mein’ in 2001. Jacqueline Fernandez : She is Miss Sri Lanka and was crowned in 2006. Namrata Shirodkar : The actress won Miss India in 1993. Pooja Batra : Pooja Batra was crowned Miss India Asia-Pacific in 1993. Tanushree Dutta : She won Miss India Universe title in 2004.